You may not realize it, but your gut – your intestines – is the place many health issues start and stop. Most of this has to do with the bacteria growing there. Most of us don’t spend much time thinking about these friendly bacteria, also known as gut flora, but when things get out of balance all kinds of negative issues result. According to one article, struggles with obesity, type 2 diabetes, heart disease, depression, and Alzheimer’s have all been linked to unbalanced gut flora. In fact, up to 70% of our body’s immune response can be traced back to our gut. It’s pretty clear keeping our gut healthy is important, and probiotics are one of the best ways we can do that. Probiotics are live microorganisms similar to the ones naturally found in our bodies. By consuming them, we help keep our gut flora healthy and robust. There are hundreds of friendly bacteria in your body – some numbers say as high as 1000 different strains. The most common types are bifidobacteria, lactobacillus acidophilus, and streptococcus thermophilus. While the names sound scary, they all serve different functions. In fact, certain strains have been found to particularly aid in weight loss and anxiety. Getting a well-rounded probiotic offering multiple strains is one of the best ways you can equip your body. In our bodies, these hard-working bacteria perform several critical functions. They are responsible for producing important vitamins in our bodies, including Vitamin A, Vitamin K, and Vitamins B1-B3, B5-B7, B9, and B12. Additionally they play an important role in enabling the gut to digest and process many other important nutrients. 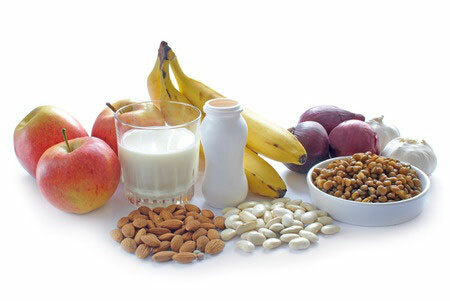 A few of these include: copper, calcium, iron, potassium, zinc, and magnesium. What do probiotics do for our bodies? How do we get this good bacteria in our bodies? Getting these powerhouse bacteria in your body is relatively easy, but you’ll probably have to go out of your way to make it happen since they aren’t naturally occurring in most diets. You can get them one of two ways: through food, and through supplements. 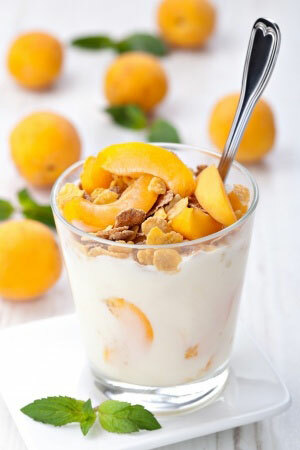 Food: Yogurt is the most commonly known source of probiotics. Even if you’re lactose intolerant, there are non-dairy options that still give the probiotic benefits. Other foods containing probiotics are fermented foods. Popular ones are sauerkraut, miso, natto, kimchi, apple cider vinegar, and microalgae. Supplements: Most probiotic supplements are taken in pill form, usually once or twice daily. 310 Nutrition LLC Probiotics has great one that comes in a pill form that you might want to try. When done in conjunction with a diet of foods also containing probiotics, you’ll be sure to have a happy gut! If pills aren’t your style, you can also find powdered and liquid probiotic supplements. Eat something fermented every day. It doesn’t necessarily have to be much, but teaching your body how to like fermented foods will be worth it. Yogurt is an easy breakfast. Natto (fermented soybeans) make a great add-on to lunch. A tablespoon or two of apple cider vinegar (with the mother) is effortless. Try some sauerkraut or kimchee with dinner. One note is that for all these foods, make sure you look for “live and active cultures” on the label (or make them yourself!) to make sure you’re actually getting the probiotic benefit. Pick a good supplement. As always, not all probiotic supplements are created equal. Often, you really will get what you pay for. Again, the “live and active cultures” phrase is tremendously important. A good rule of thumb is that a good probiotic typically has to be refrigerated in order to keep those cultures alive. Supercharge it with a prebiotic. 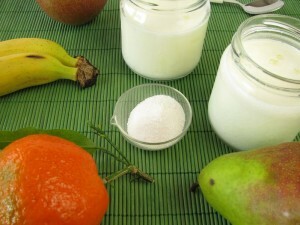 A prebiotic is different than a probiotic. Essentially, prebiotics are pills you take filled with food for the good bacteria in your probiotic (and already living in your gut) to feed on. It’s not completely necessary, but it will help your probiotics do their job even better. Probiotics might be one of the most important things you can do for your health. While you might have to work a little extra to get them in your diet, the benefits will absolutely far outweigh the effort you expend!